Busted Tees is a fine funny t-shirt shop with loads of clever tees featuring pop culture and random stuff. 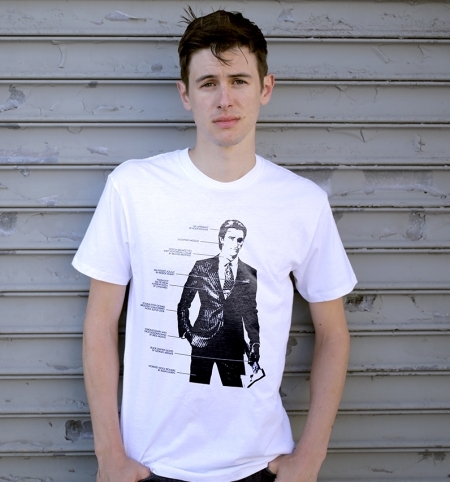 Many BustedTees.com shirts have made Shirt of the Day. Breaking Bad’s Heisenberg – Have you seen him? I was just speaking with my buddy, Anthony about this show the other night. He said it was about a chemistry teacher that decided to make some real money by manufacturing meth in his bathtub. Only, his meth is superior in quality to all other meth because he is a perfectionist chemist with a passion for purity. So much so that the Mexican Mafia is trying to recruit him to work for them. Any group that murders people without batting an eye and then erects small monuments to Santa Muerte (Holy Death) has got to be a very caring and compassionate employer. Make sure you negotiate your severance pay in advance though because it is typically going to be something like a nice wooden room with no windows, 6 feet below ground. There is no funnier topic for a show than mr. square turned crooked by the allure of money only to find out that the drug scene isn’t all it is ‘cracked’ up to be. Daft Punk is a popular band from France with a hit called, ‘Get Lucky’ that may just rule this entire summer. This robotic duo will be a force to reckon with in the pop music scene with their disco beats, syncopated guitar riffs, robotic vocals and computer-generated beats. This shirt combines Daft Punk with the most famous robots from Star Wars, C3PO and R2D2. These are droids with style and would be worn, I am sure by the duo that comprises Daft Punk had they not already been taken by tens of thousands of candy-seekers every Halloween. I mean, you’ve got to be original. Mullets are still way cool. If you put it in a pony, then you can go into the office and for business all day. Friday night, pull it out of the pony and you’re ready to party. You see, back in the days when Leopard print spandex, shirts cut off at the sleeves and the belly were worn by fully-grown men, mullets were a prerequisite for cool. And they’re back as are rat tails. Mullets enjoyed a much greater popularity among women and men than tails though. 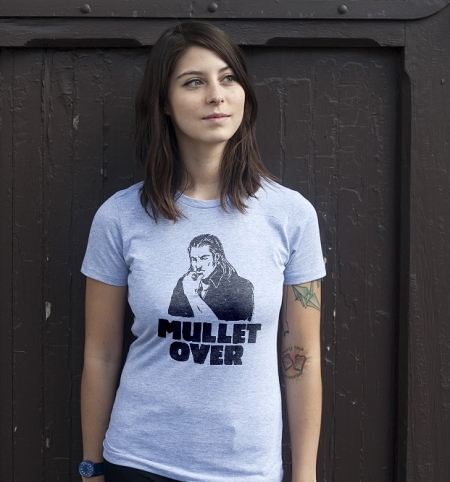 Mullets are functional too because while the short hair on top keeps the hair out of your eyes, the hair on your neck keeps the sun off of your next. When I first saw an ad for Arrested Development, Season 4 a few weeks ago, I thought I was hallucinating. Back in 2006, when the show was abruptly cancelled, I was pretty ticked. Just as in the Bluth’s Banana stand when Michael Bluth brought it back during season 1, there will always be money in bringing back something people demanded to bring back. This season, I have to say has been pretty funny. I like how they are telling one of each of the character’s stories and weaving them together. It makes it a little more difficult to follow but each one is developed well. I especially like episode 5 where they tell Tobias’ story. Tobias is the clueless therapist, turned actor that is trying to find himself and makes the very common mistake of thinking a Methadone support group is an acting class. He also once thought that the Blue Man Group was for depressed males. He turns everything into an acting opportunity and is quite flamboyant in his not-so-sutle, sanguine way. Geek-o-rama! Or Futurama! This is from Futurama, the sci-fi cartoon from Adult Swim. I don’t understand this stuff but it is very geeky and I resemble that. I have turned on the TV late at night and caught a little Futurama wondering why I was still awake and if I someone had dosed me with LSD. Futurama combines cool, futuristic stuff, weird geekiness with dark, dead-pan humor. Very creative and a bit off from the norm. 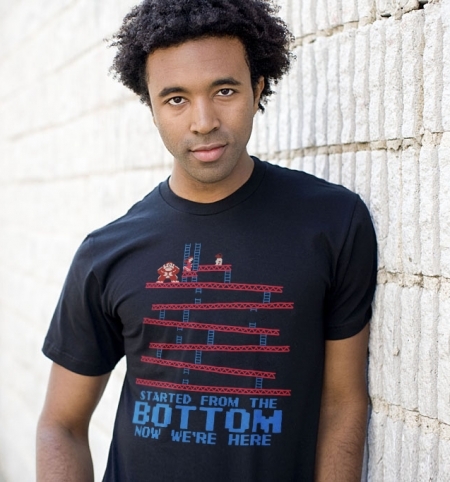 A mashup between the good ole’ Donkey Kong arcade game and the song from Drake’s chorus lyrics, “Started from the Bottom.” Mario, on this shirt is replaced with a little, 8-bit Drake rescuing Pauline. Pretty clever. 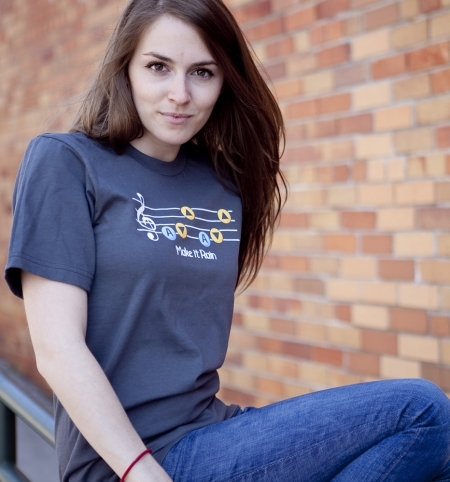 Now if we could just get a mashup shirt with Mrs. Pacman singing the Weird Al Parody of Cyndi Lauper’s Girls Just Want to Have Fun (Girls Just Want to Have Lunch), I would be ecstatic. You don’t have to be Tyrion to get your ale-ments healed. This is the official drink of the House of Lannister. Now, you don’t have to be Jaime, Cersei Tyrion, Tywin, Kevan and Lancel or a member of the Lannister house to get your ale! 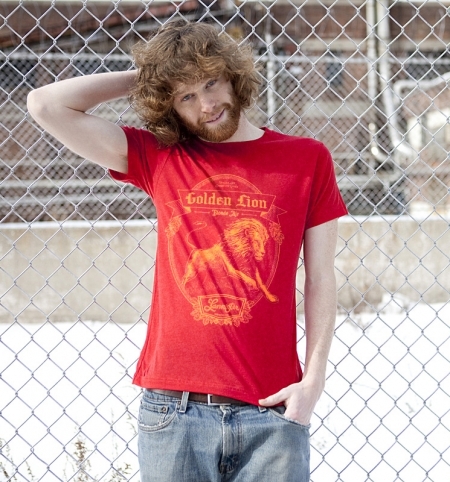 You can go down to the local tavern (watering hole) wearing this shirt now and you will receive free Golden Lion Blonde Ale for the duration of your stay at the inn. Cersei and Jaime have concealed their relationship in conspiracy. They had a son, Joffrey and now he has ascended to the throne by claiming to be the son of the recently deceased, King Robert Baratheon. Lord Tywin is a key supporter of his reign in the War of the Five Kings. If you were a kid in the 1990’s, chances are you played POG. This is a game where you trade caps that came in bottles of a juice that was popularly called, POG (passion fruit, orange, guava). My wife made me try this when we went to Hawaii, the island of oahu. My younger cousins were POG experts at that time. This game had its origins in a game called Menko, a Japanese card game similar to pogs. People were playing Menko since the 1600’s! 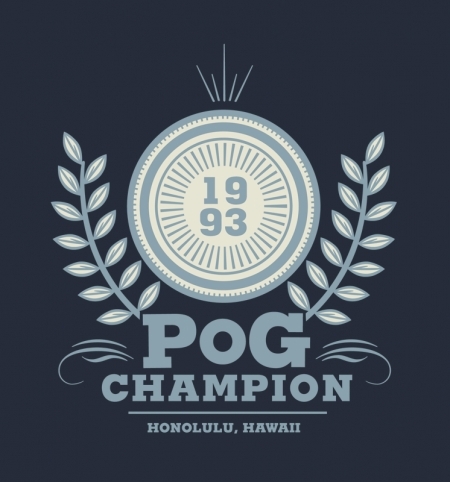 Yep, this was 1993… champions of the game of pog’s didn’t have to rely on slammers whammers or any other banned substances! Just ask Hertz. Ask the late Pope John Paul (the second). Ask economists, Lipsey and Lancaster who developed the Theory of Second Best to describe what happens when you have a problem with an economic system, sometimes it is better to leave it alone. Why, because it may actually cancel out another problem or trying to solve the one would lead to others. I say, excellence rather than perfection and so does this shirt. No one wants to be lonely up on the very top. It is better to be just a tiny bit lower down the rung where people are hungry and have life. Once you’ve made it, you’re done. OK, when the first Nintendo came out, there was a game that rose to meteoric popularity. The Legends of Zelda. I wasn’t um, around back then, uhh. But I did hear that it was out in the mid to late eighties. There is a song that is quite popular from modern versions of Zelda and has made its way into Internet pop culture. The Song of Storms Zelda, Make it Rain, I’ll Never forget this song, Ocarina of Time, etc. You hear what I am playin’? I watched these old haters when I was a kid and these guys used to sit in their little boxes criticizing everyone. They drove me nuts but you’ve gotta love these grumpy old farts. These dudes are the original haters, yet they’ve never even heard the term ‘hater.’ For all you Muppets fans out there, this one is for you. Get one before they’re Gonzo!